Looking beyond the technical horizon into strategy, organisation, governance, corporate culture and the real dynamics of large organisations to deliver real long term protection and value. We are passionate about listening to our Clients and solving real-life problems. We strive to do the right things and push our Clients to do the right things. We are driven by the desire to see each Client and the Security Industry at large progress over the mid- to long-term. This is the alternative spirit you are going to find in these pages, in our blog, articles and whitepapers. Different ideas to tackle old problems or shake up the status-quo. Cyber security must be at the heart of the public sector IT agenda and must be seen as a necessary barrier against real and active threats. It needs to be actively implemented at people, process and technology levels. It needs to be embedded in the mindset of all parts of the public sector for digitalisation to work. Change in that space is very highly vulnerable to ambiguity: It starts with a clear vision coming from the top that must be relayed without fail at all levels. All actors in the public sector digital transformation sphere must place cyber security at the heart of each and every public communication they make. Those who think it might “scare people” are just in denial about the reality of the threats and the impact they can have. It is only at this price that the digital transformation will be successful at the pace the Government is marking. 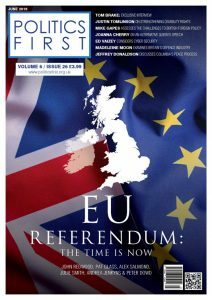 This article from Corix Partners was featured in Politics First published on 7th June 2016. Cyber threats have a global reach and target all industry sectors. But the Wealth Management industry makes a particularly attractive target because it handles large amounts of capital associated with high profile wealthy clients, and is also home of a large number of relatively-small firms that maybe have not had information security at the top of their agenda for quite some time, and as a result many might have fallen behind in terms of maturity. Those cyber threats have not appeared overnight. In fact, they have been evolving for the best part of the last fifteen years and therefore there is a vast body of good practice that will go a long way to ensure protection. But those good practices have to be in place, both within each firm’s environment and within the environment of their service providers. Cutting corners around cyber security good practices on grounds of costs or convenience simply creates opportunities that cyber threats can target. This is increasingly becoming a matter of mindset, culture and governance. Sadly, we live in a world where prioritising convenience ahead of security can cost you more than you think. 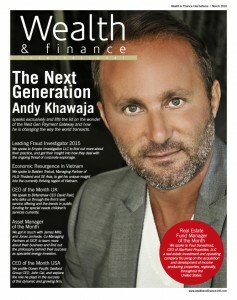 This article from Corix Partners was featured in Wealth & Finance International published on 31st March 2016. Recent data breaches have scared Board members – in particular the TalkTalk incident in October 2015, and the aggressive media coverage that surrounded it. Still, even in response to Board level demands, many large organisations continue to focus on IT point solutions, looking for some imaginary tactical silver bullet that would make the problem disappear. In our opinion, this is a problem deeply rooted in corporate governance, organisational and cultural matters, which requires a fundamental rethinking and rewiring of information security practices, driven by the Board itself. 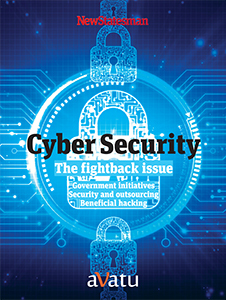 This article from Corix Partners was featured in the New Statesman Cyber Security supplement published on 26th February 2016. Other contributors to the supplement included Ed Vaizey, minister for the Digital Economy; Malcolm Marshall, global leader for cyber security at KPMG and Dr Adrian Davis, managing director for Europe, Middle East and Africa at (ISC)2. 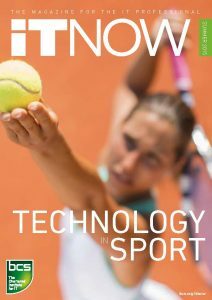 This article discusses the importance of technologists focusing more on threats and controls and less on risk in order to build an effective Cyber Security Practice. It shines a light on the typically risk focused nature of the industry and why shifting that focus onto the implementation of effective controls to protect an organisation against real threats is key in effective Cyber Security. It also discuss the disconnect in viewpoints between technologists and business users – and how this can lead to a dangerous position, whereby an organisation develops a false sense of protection against cyber threats and cyber-crime.